Disclosure: I am an affiliate for some of the tools and services listed below. If you decide to purchase because of my recommendation, I do earn an affiliate commission. Please note that I only recommend products that I personally use or have used, and would only recommend to a dear friend. You never pay more by purchasing products or services through my links. In fact, you may even pay less, if I have been able to secure a discount for you. Aweber – The autoresponder I use to build my email lists. Forum – Need an online forum where you can ask business questions, get answers, and have an entire library of learning resources at your fingertips? Namecheap – I use this as my domain registrar, because of their prices, service, and free WHOIS protection for the first year. Pamela for Skype – I have used this for recording podcasts. You can try it out for free. Product Creator Pro – Use this for professional-looking documents in minutes. No need to learn Photoshop! Great for all authors, including Kindle authors. You also get a free trial. Roboform – Securely saves your usernames and passwords. Access them from different computers and your iphones, etc. 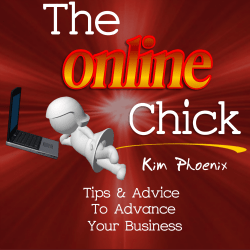 Stretch Yourself Challenge – Lots of tidbits and an outline to get you using social media effectively, and how to get yourself out there so more people know about you and your business. The Logo Creator – I’ve used this to create graphics from time to time. It includes free upgrades. The Niche Blogger – The very first course I took on how to build a wordpress website, flip sites, etc. This used to be a good beginner course, because it also had a very active forum. Now, the forum is very slow. I would only recommend this if you don’t need a forum. The intructions on how to start your website are still good though. Dropbox – Get free storage online! Kozzi – Get free stock photos. Pic Monkey – Free editor online.